It’s a Snow Day! 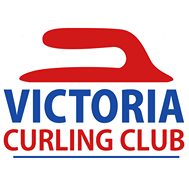 Although curling is a winter sport, Victoria is clearly not a “winter city” – given the road conditions and expected forecast calling for further snow, and in the interest of the safety of our members and staff, the VCC is closed today, Monday February 11. All league play, practice ice, and the Greater Victoria Curling Academy has been cancelled. There are no darts or pool in the Stone’s Throw Lounge this evening, as it will also be closed. With the overnight forecast calling for additional accumulations of snow, the decision has also been made to cancel the Tuesday morning Senior Men’s play tomorrow. We will make further decisions on later play tomorrow as required, and will send an update as soon as we know more. While we don’t like not getting to play, we thank you for your understanding. The first men's and women's playdowns took place over the weekend, and more teams have qualified for Quesnel 2019!